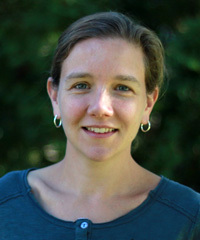 Kristin Doughty is Associate Professor of Anthropology and is Director of the Susan B. Anthony Institute for Gender, Sexuality, and Women's Studies. Her research interests include political and legal anthropology, violence and social repair, memory, gender and mediation, energy, environments, and prisons, with ethnographic work focused in Rwanda and upstate New York. Professor Doughty's first book project, Remediation in Rwanda: Grassroots Legal Forums (University of Pennsylvania Press, Ethnography of Political Violence Series, 2016) examines the intersection of law, rights, and collective belonging in post-genocide Rwanda. It is based on 18 months of ethnographic research with grassroots legal forums in Rwanda, including genocide courts (gacaca courts) in which suspects from the 1994 genocide were tried among their neighbors before locally elected judges, as well as mediation committees for ordinary disputes (comite y'abunzi) and a legal aid clinic. Prof Doughty’s current research project in Rwanda, Threats to Power: Cultural Politics of Energy and Unity in Post-Genocide Rwanda, examines the intersection of energy politics and post-genocide reconstruction through a focus on methane extraction in Lake Kivu. This research is funded by grants from the Wenner-Gren foundation and National Science Foundation. Prof Doughty is in the early stages of a new research project examining the cultural politics of prison towns in upstate New York, funded by a collaborative University Research Award (2018-2019). She taught Introduction to Anthropology at Five Points Correctional Facility in spring 2018 as part of the Rochester Prison Education Project. For undergraduate advising office hours, please visit our advising page.